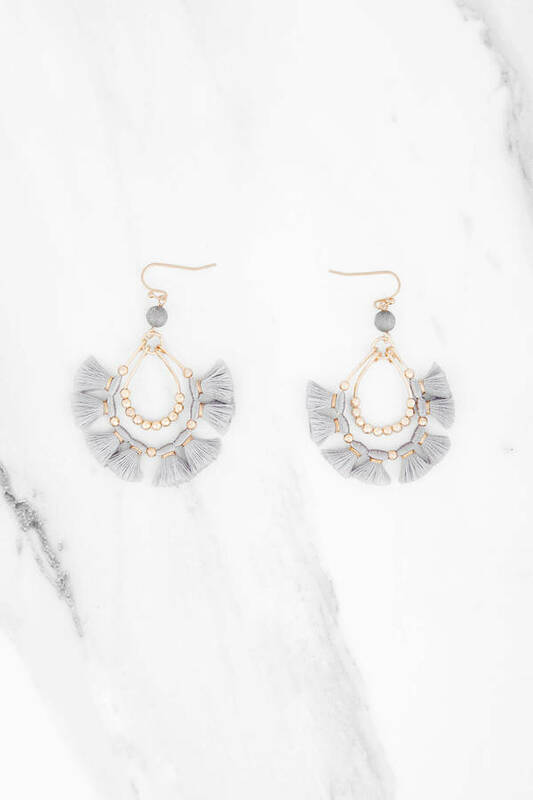 Check out Tobi's Hassle The Tassel Earrings These showstoppers got all the tassels and we can't get enough. 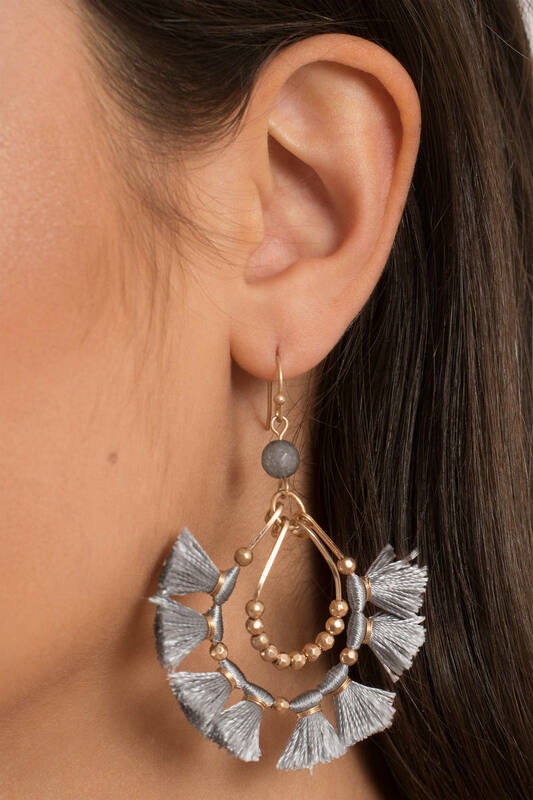 The Grey Hassle The Tassel Earrings are an explosion of detail, with eight tassels fanning out from a drop beaded ring, with another beaded loop in the center. You'll love the drama when you pair these statement earrings with a bodycon dress for holiday parties. These showstoppers got all the tassels and we can't get enough. The Black Hassle The Tassel Earrings are an explosion of detail, with eight tassels fanning out from a drop beaded ring, with another beaded loop in the center. You'll love the drama when you pair these statement earrings with a bodycon dress for holiday parties. These showstoppers got all the tassels and we can't get enough. The Grey Hassle The Tassel Earrings are an explosion of detail, with eight tassels fanning out from a drop beaded ring, with another beaded loop in the center. 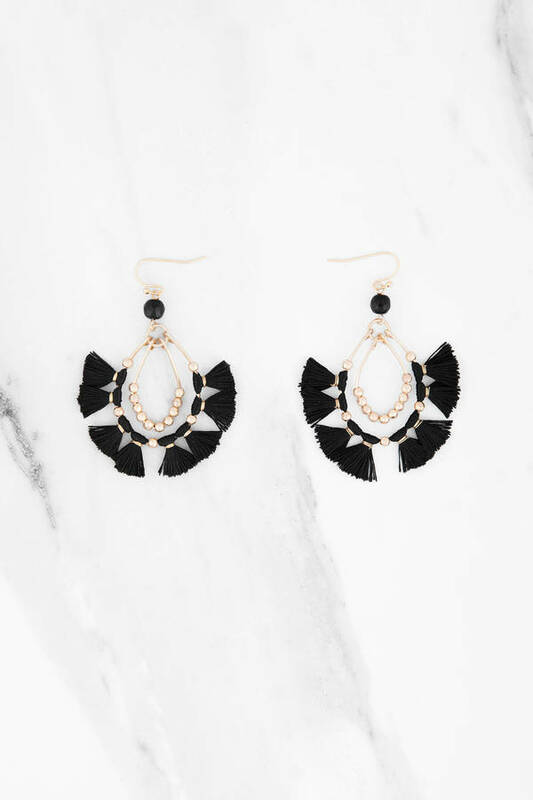 You'll love the drama when you pair these statement earrings with a bodycon dress for holiday parties.